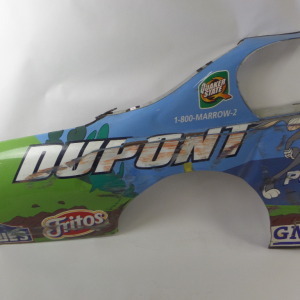 JEFF GORDON DUPONT LOONEY TUNES RIGHT REAR QUARTER #jg44 [JG44] - $700.00 : racingmetal.com, NASCAR Enthusiasts Piece of the Action! DUPONT LOONEY TUNES RIGHT REAR QUARTER. ITEM WILL SHIP FREIGHT, CONTACT COMPANY BY PHONE PR EMAIL FOR QUOTE ON FREIGHT SHIPPING.